The Jukebox's will not work on the iPhone, iPod Touch at this time! A ... Return to the CD Bookshelf. B ... Song, Artist, Album Infomation / Time. C ... Name of the pieces. F ... Move the Pieces list up and down. G ... Play some Old Fashion Checkers, while playing a Jukebox. H ... 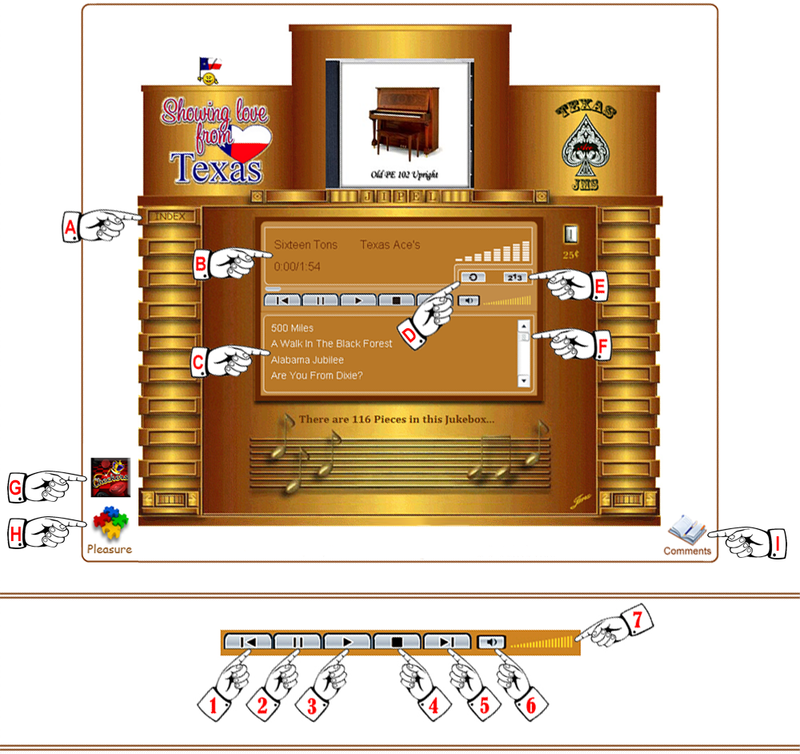 Play with some Amazing Jigsaw Puzzles, while playing a Jukebox. I ... Make Comments about this Jukebox. 6 ... Mute the volume.